Lotus Palace is unique palace which is built in flower shape using Hindu and Islamic architectural style. Its archways, vast elephants stables etc will take the tourists into the past pomp of the kingdom. 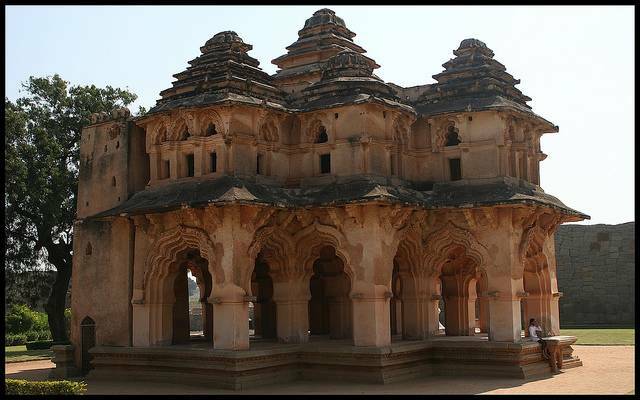 The best photogenic monument in Hampi is this Lotus Mahal. Behind the lotus palace is a Elephant stable and that is a stunning structure. Make sure that you see that also.